It's May, which means my blog's second birthday is coming up, yay!!! I am already considering a ton of ideas to celebrate, but I will have more information on that in an upcoming blog post. 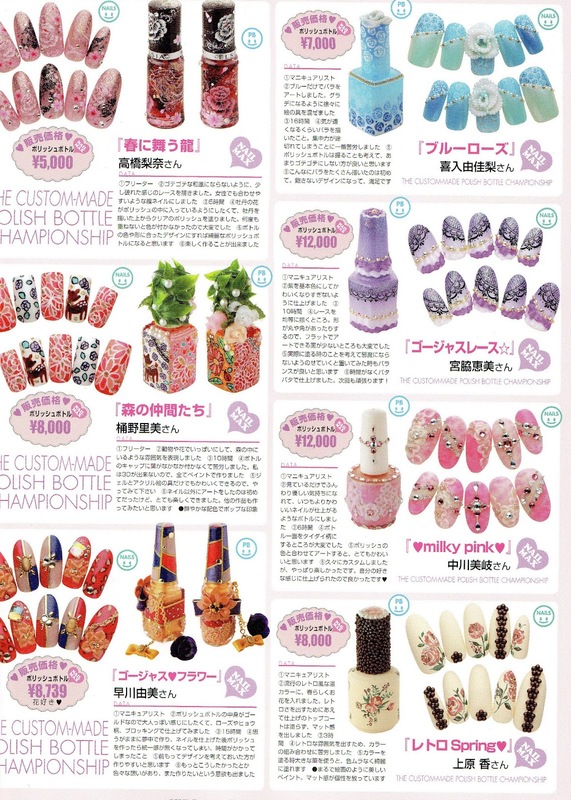 Today it's time for another nail inspiration post. 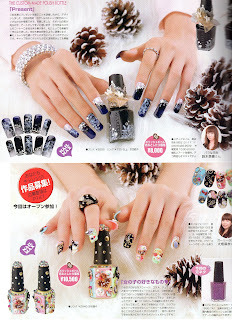 Lately I have seen an interesting trend popping up in Nail Max. 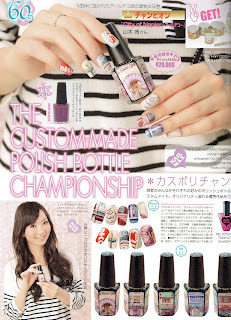 Custom made nail polish bottles. 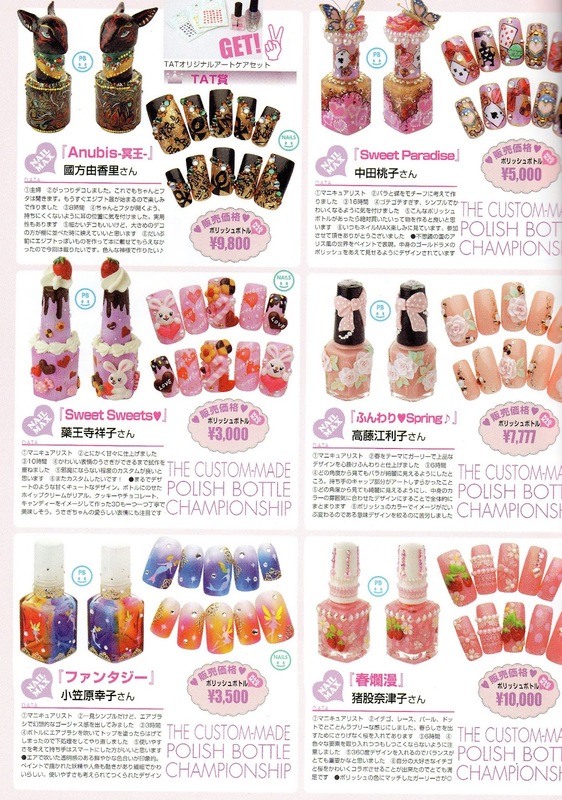 And we are not talking just adding some rhinestones or a sticker, we are talking having your nail polish bottles match your nails. 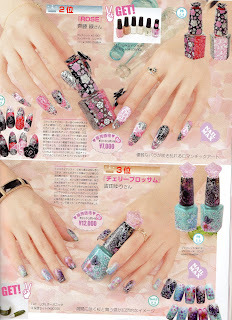 As expected from the very talented and creative Japanese nail artists. 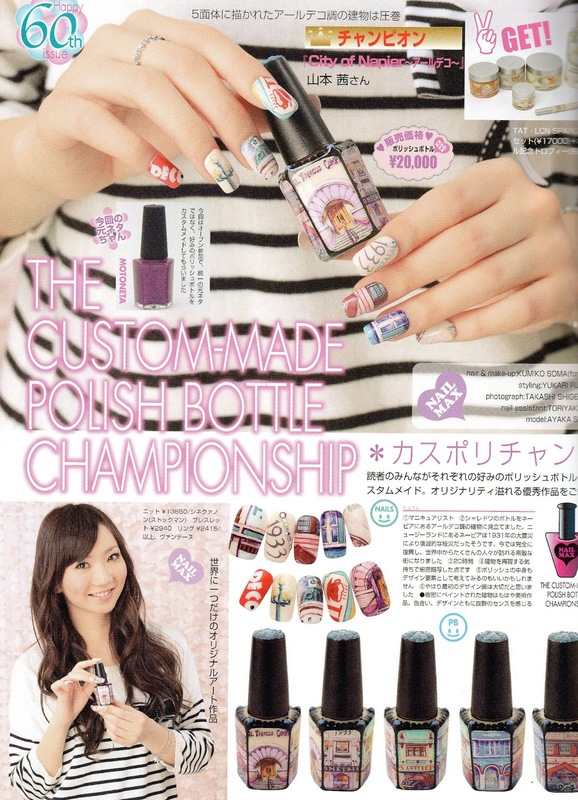 There was even a custom nail polish bottle championship. The lady bellow won first place. And here we have the roses on second place and the blue butterfly bottle in third place. The butterfly design was my favourite. Here are a few more designs. You can see that they creators went all the way with these! I have to admit I am impressed! 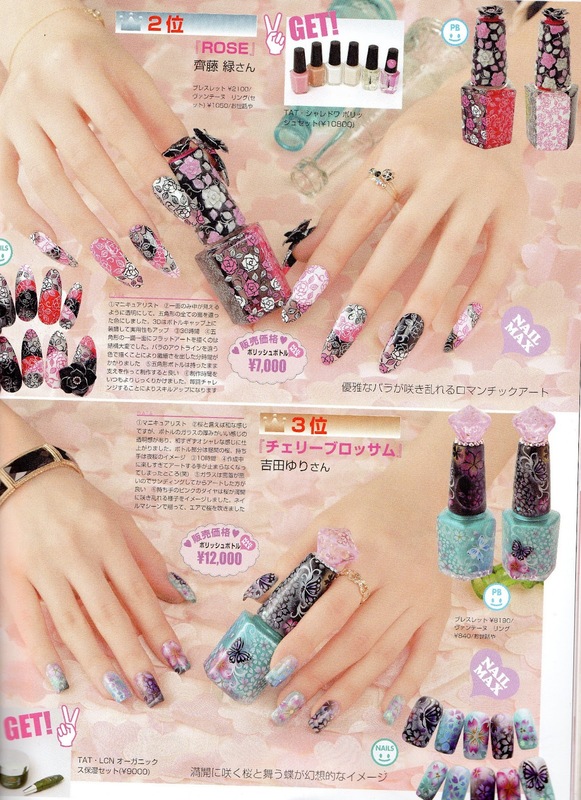 As you can see every method was used, from air brushing to gel. 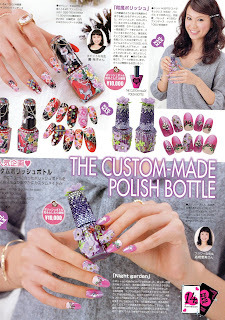 Would you ever try doing something like this to your nail polish bottles dear readers? Woah! Those are impressive! I may try doing this to a top coat, base coat, treatment, or perhaps a bottle of cuticle oil. I agree with you- the butterfly is my favorite too! Wow, how crafty! 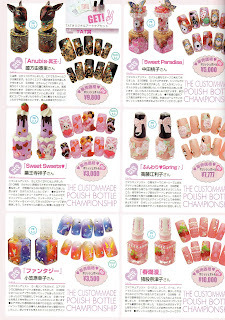 I love the butterfly one too although the fairy/mermaid, strawberries and cream rose print ones are beautiful too. 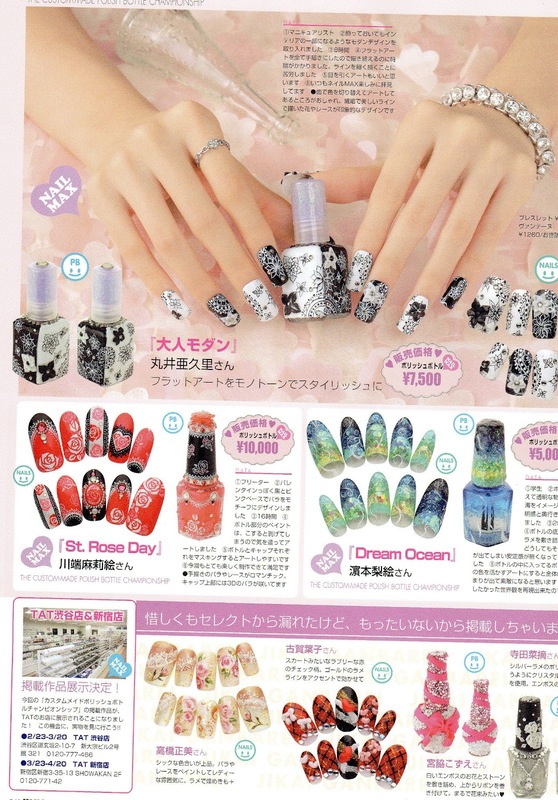 I've always liked a well-dressed nail polish bottle :) Remember Hard Candy? How fun was it to get the "free" ring? By the way, happy second blog birthday! the bottle designs always look very impressing. I wonder if they do it with all bottles? makes you think if it increases their stash since they are rather unlikely to threw it out once it's empty xD!